Apparently Andy’s Wiser Car Cover idea started with Allen Brady. According to Allen, he gave Andy an idea one day for a car cover that inflated using air from a car’s tires. The idea was that hail storms in the Denver area are so frequent that consumer demand for an inflatable car cover would be tremendous and Wiser Technology investors would make a fortune! Allen is obviously and idiot and never thought that deflating an automobile’s tires in order to protect it’s paint reflects misplaced priorities that only he and Andy Esquivel could possibly share, but Andy ran with the idea anyway. After hours playing with rope and packing materials, Andy came up with a “prototype” which he displayed on his daughter’s toy pedal car. The video of this elaborately decorated rope and plastic bubble wrap concoction is now considered a classic by Andy Esquivel [video] connoisseurs. After the whole world finished laughing about Andy’s ridiculous toy car cover invention, he got quiet for a while. Then Andy had a breakthrough. While eating at Burger King one day he happened to spot a prototype of the 2012 Hyundai Veloster on a lunch break during high altitude testing in Colorado. Automobile prototypes undergoing testing are routinely wrapped in anti-spy covers to foil the automotive press, and Andy saw a prime opportunity to pass a photo of this car off as his own using his imaginary car cover! 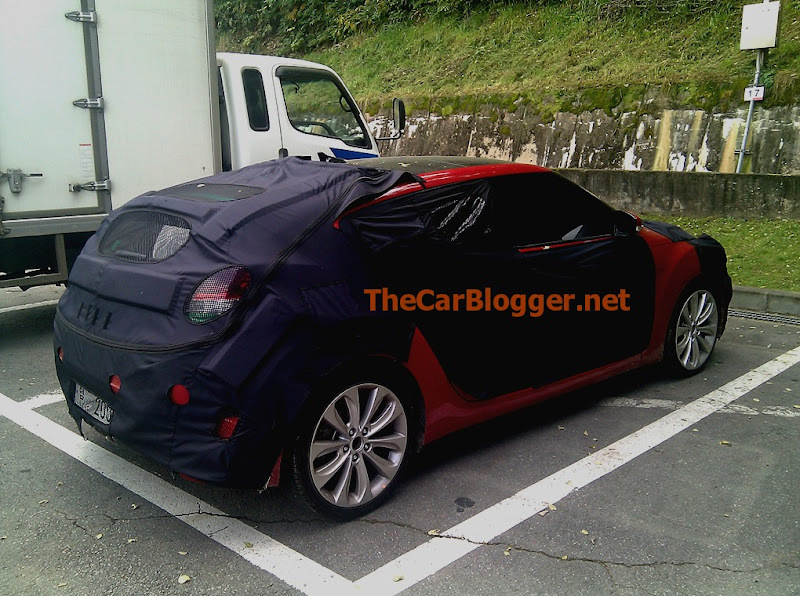 Now, it’s obvious to anybody who’s ever read an automotive magazine that this image is of a car in anti-spy wraps and not some new car cover designed by Andy Esquivel, but Andy persisted…even after photos of other 2012 Hyundai Velosters in the same anti-spy wrap (prominently labeled as Hyundai Velosters in anti-spy wraps) were posted on anti scam threads across the Internet. Amazingly, Andy refused to admit that he’s been caught in a lie and a scam red handed and indignantly continued to insist that his car cover was real [video]. He even posted an elaborate story about him being in New Mexico testing the car cover and filming the entire test from a motor home in chase. His explanation for the Hyundai Veloster spy photos was that these were traditional car covers and that Wiser had made the car covers better by adding the inflation feature…completely missing the point that these images aren’t of cars with commercial car covers on them at all, but instead prototypes with factory disguises. This is probably my favorite example of our lunatic friend Andy Esquivel making a complete idiot of himself trying to perpetrate a hilarious scam in the face of embarrassing realities. Andy simply never knows when to give up, even when caught red-handed. 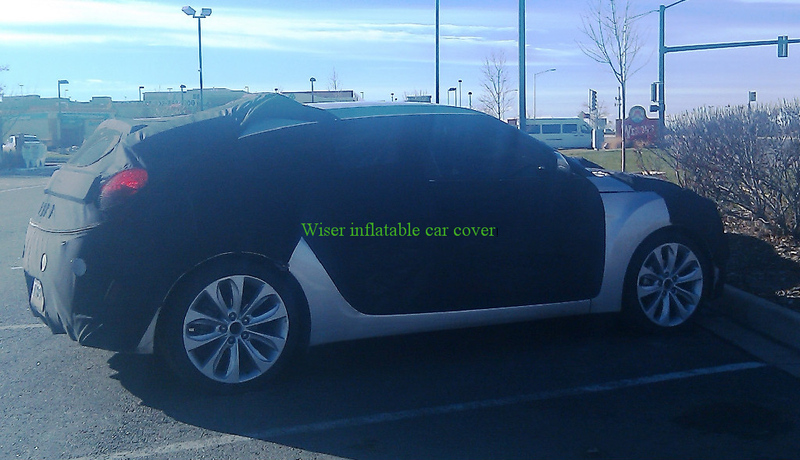 The original image is STILL hosted on the Wiser Technology website with the label “Wiser Car Cover” because Andy is too embarrassed to admit that it’s a fraud. Nothing has happened with that car cover ever since we brought that to light. which goes to show that Andy cannot prove us wrong! Yea, the car cover thing was pretty embarrassing. The REALLY sad part is that Andy kept trying to talk his way out of that one: ‘Guys, we make products WIIIISERRRR…’ He just has no idea that the more he talks, the more he removes all doubt that he is brainless and insane.